I know that I am a right-brained person. I learn visually, I am intuitive, and I would rather touch and taste and smell and feel than merely observe. I have always been drawn to literature and languages, applying those passions to my studies in school. Math and science do not come easily to me. I am a great listener, but do not learn that way. Never have I ever considered my left brain to be a huge component of my life. This realization came as quite a shock to me: I have had to process it for quite a few days. Me? The English major? The one who speaks Italian? Left-brained? Um. What? (I do realize that these are all gross generalizations and people can have a combination of strong attributes from each side and therefore cannot be pigeon holed into one category nor the other. I believe, however, that there is validity to which side of the brain is dominant. Think about your friend. Think about their majors. Think about how they deal with things in life. Think about it). She threw me for a total loop. Ok I am not THAT clueless about this concept. 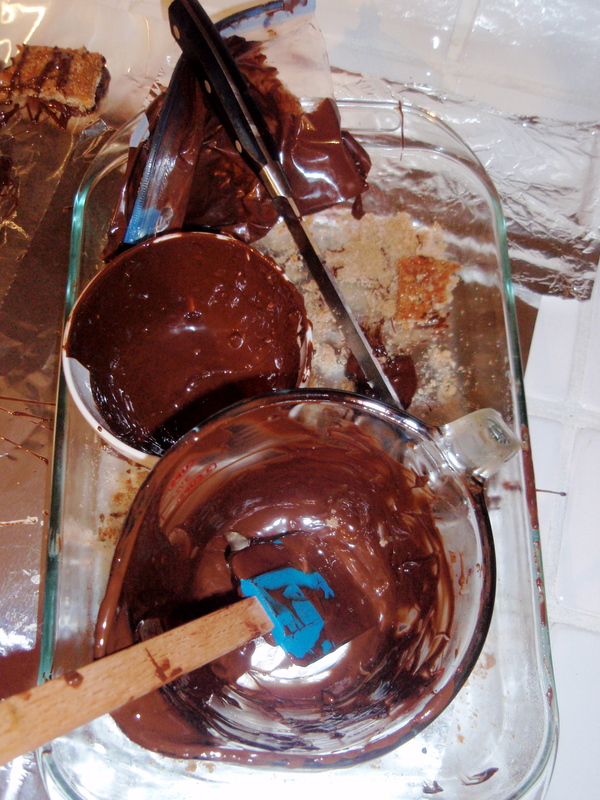 I completely understand that the difference between a teaspoon and a tablespoon can be disastrous. I know that an entire batch of cookies will be different if you use baking soda rather than baking powder. The difference between using salted and unsalted butter is monumental, and it really does matter. (Ask my mom about her use of salted butter in the dobos torte. Her uncle was not happy and could immediately tell after one teensy taste). It’s just that I have never thought of something that I love so much being so scientifically based considering I am ruled by my right brain. Maybe it is because I am right-brain dominant that I find baking so intriguing. 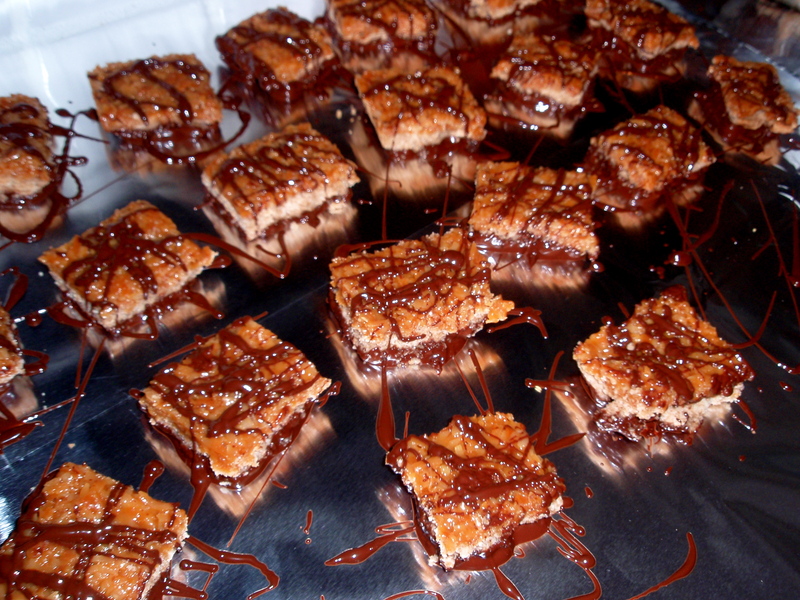 Working out and doing yoga are my go-to stress relievers, but I also find baking quite soothing. I love the process: the measurements, the mixing, the chemical reactions, the fact there is a fine line when it comes to whipping something into a frenzy. There’s something about being up until 1am at Christmastime waiting for your last batch of godforsaken but favorite jelly cookies to be finished baking that is just so…magical. And so I bake. I bake to calm down, I bake to get psyched up, I bake to share the love, I bake until I am utterly exhausted. I bake. A man came to fix the oven on Friday. 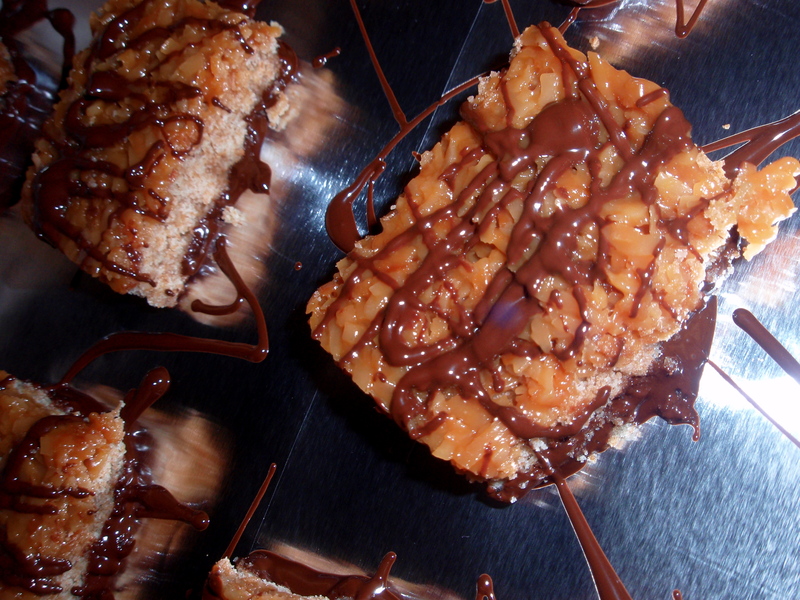 I made my samoa bars. The world was set right. 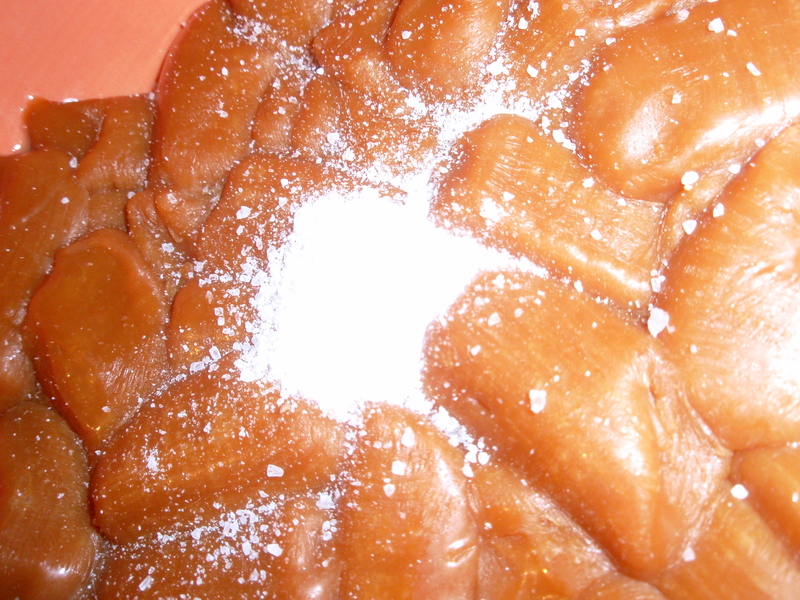 Caramel and salt to melt. 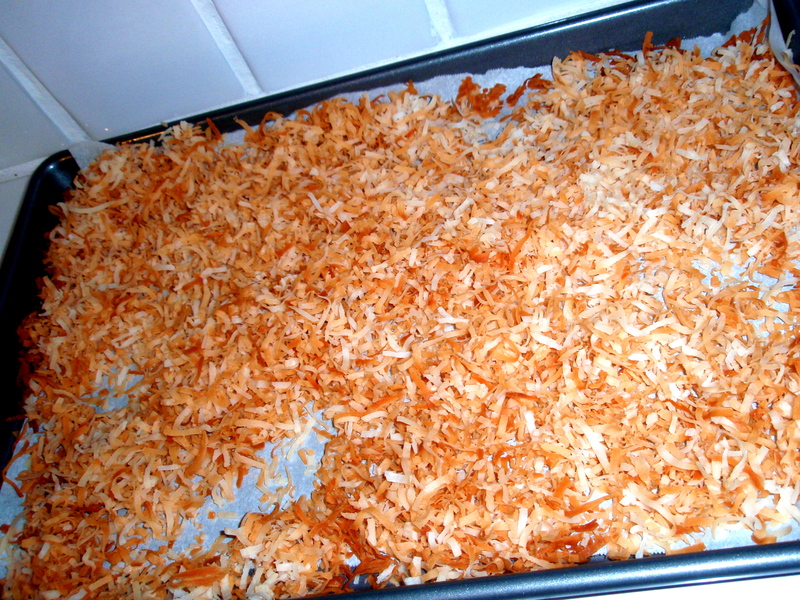 There are few things more perfect than nutty, toasted coconut.